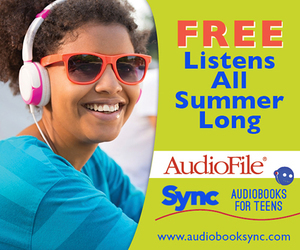 SYNC is a free summer audiobook program for teens 13+. SYNC will give away two complete audiobook downloads a week - pairs of high interest titles, based on weekly themes. In 2017, 32 titles were given away over 16 weeks.